Beximco Pharmacuticals Limited (BPL) is a leading edge pharmaceutical company and is a member of the BEXIMCO Group, the largest private sector industrial conglomerate in Bangladesh. BPLs strategic strengths include strong recognition of brands, highly skilled work force and diversified business mix. BPLs two brands – Neoceptin R (Ranitidine) and Napa (Paracetamol) are the top two selling brands in the Bangladesh Pharmaceutical market. BPL started its operation in 1980, manufacturing products under the licenses of Bayer AG of Germany and Upjohn Inc. of USA and now have grown to become nation’s one of the leading pharmaceutical companies, supplying more than 10% of country’s total medicine need. Today Beximco Pharma manufactures and markets its own `branded generics’ for almost all diseases from AIDS to cancer, from infection to asthma, from hypertension to diabetes for both national and international markets. BPL manufacture a range of dosage forms including tablets, capsules, dry syrup, powder, cream, ointment, suppositories, large volume intravenous fluids, metered dose inhalers etc. in several world-class manufacturing plants, ensuring high quality standards complying with the World Health Organization (WHO) approved current Good Manufacturing Practices (cGMP). BPL also contract manufacture for major international brands of leading multinational companies. The recipient of three times `gold’ national export trophy, Beximco Pharma is the largest exporter of pharmaceuticals from Bangladesh. BPL is the only pharmaceutical company in Bangladesh received this highest national accolade for export, for record three times. BPL markets its brands through its own professional sales and marketing teams in African, South Asian and other markets. It also supply products to renowned hospitals and institutions in many countries, including Raffles Hospital and K K Women & Childrens’ Hospital in Singapore, MEDS and Kenyatta National Hospital (KNH) in Kenya, Jinnah Hospital, Agha Khan Hospital and Shaukat Khanum Memorial Hospital in Pakistan. BPL is also an enlisted supplier of World Health Organization (WHO) and UNICEF. BPL has a strong market focus and is anticipating continued future growth by leveraging business capabilities and developing superior product brands and markets. In particular BPL is very interested in developing a strong export market in USA and Europe. To meet the future demand BPL has invested over US 50 million dollar to build a new state-of-the-art manufacturing plant, confirming to USFDA and UK MHRA standards. This new plant will also offer contract-manufacturing facility to leading pharmaceutical companies, especially from Europe and US. BPL has employed over 2,300 staff and has an annual turnover of US 50 million dollar. 2008 Become the first Bangladeshi company to achieve GMP Clearance from TGA Australia.Also become the first Bangladeshi company to receive export approval to Gulf countries. 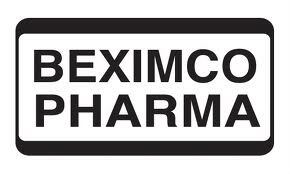 Beximco Pharmaceuticals Ltd. Is the first Pharmceutical company from Bangladesh to enter into Latin America. BPL manufacture a range of dosage forms including tablets, capsules, dry syrup, powder, cream, ointment, suppositories, large volume intravenous fluids, metered dose inhalers etc. BPLs manufacturing facilities are spread across a 20 acres site located in and around Dhaka, Bangladesh. They comprise of a number of purpose built plants, including the new Oral Solid Dosage (OSD) plant. The land and buildings are wholly owned by the company and approximately 13 of the 20 acres of land are currently in use. The site includes facilities for manufacturing intravenous fluids, liquids, creams, ointments, suppositories, metered dose inhalers, active pharmaceutical ingredients as well as the existing and new OSD plants for tablets and capsules, the research laboratory and a number of warehouses. The plant and machinery throughout the site has been designed, procured and installed by partners from Germany, Switzerland, Sweden, Italy and the United Kingdom, amongst others. The site has its own utility infrastructure to ensure the adequate generation and distribution of pure water at all times. The current installed electrical capacity is 4 MW and this will be increased to 8 MW soon. There are also water purifying and liquid nitrogen generation facilities on site. The entire site is at least 10 meters above sea level and is approximately 250 kilometers from the nearest sea – the Bay of Bengal. Beximco Pharma has invested over US $ 50 million on this new Oral Solid Dosage (OSD) plant complying with guidelines of highly regulated markets (for example, USFDA, UKMHRA, TGA Australia etc.). This state-of-the-art facility incorporates modern technological advancements. The building finishes have been made to comply with BPLs design standards which have been prepared with the global standards (e.g. non shedding materials, resistant to cleaning agents, flush fitting etc.). Same is the case for HVAC system which has been installed to meet the global standards for air classification, air changes etc. The manufacturing and packaging facilities have been designed to minimize generation and maximize containment of dust particles using closed transfer system and clean in place facility. All practicable measures have been taken to ensure that members of the staff are not exposed to unacceptable concentrations of dust particles. Process area, cubicles, storage area have been connected to vacuum dust cleaning. The design of the plant ensures automated materials handling systems and multilevel designs to enable gravity feed between processing stages. The building design has also allowed maximum engineering maintenance access without entering into the production areas. Precise selection of equipment is also critical to improve process capability and ensure process robustness. A wide range of equipment has been procured from world renowned companies like Glatt, Romaco, Noack, Korsch and Nicomac. A state-of-the-art chemical laboratory and dedicated microbiological laboratory equipped with a wide range of equipment have been set up to facilitate the quality control activities. The major equipment include HPLCs, UV spectrophotometer, FTIR spectrophotometer, AA Spectrophotometer, Karl Fischer titrator etc. This plant provides greater capacity and a strong platform to launch Beximco Pharma’s products into highly regulated developed markets including Europe and the USA. The Metered Dose Inhaler (MDI) manufacturing plant of Beximco Pharma is one of the finest facilities in the world to produce Ozone benign HFA based MDI products. The plant was designed and installed under the technical collaboration of Pamasol, Switzerland. The facility has dedicated areas for dispensing, manufacturing, canister and valve cleaning, canister filling, quarantine storage area, spray testing, packaging, propellant storage and in process control. As the inhaler manufacturing operation requires stringent control of humidity and temperature, automatic monitoring equipment are in use to continuously record temperature and relative humidity in areas like dispensing room, suspension manufacturing room, filling room, quarantine room etc. The manufacturing equipment like manufacturing vessel, filling machine, weight checker, spray checking have been procured from Pamasol, Switzerland, a world renowned equipment supplier for Inhaler product manufacturing. The state-of-the-art Quality Control laboratory has been equipped with equipment like HPLC, Karl Fischer Titrator, Andersen Cascade Impactor etc. BPLs MDI facility is the only approved outsourced facility of GlaxoSmithKline for their Ventolin® inhaler. They are happy to make their production and technical facilities open to inspection by existing and potential customers. BPLs MDI plant has been audited by many local and overseas auditors and was acclaimed by them. Due to the potential risk to the environment posed by CFCs, the technology shift in MDI industry is currently towards using hydrofluoroalkane (HFA) as propellants. Considering this changing trend in pulmonary drug delivery technologies, the company has already developed the HFA based MDIs which inevitably requires very high level of expertise and sophisticated technology. We are among the very few companies in the world manufacturing CFC-free HFA MDIs. Now with this state-of-the-art MDI facility, the company aims at obtaining marketing approvals from stringent regulatory authorities of the developed markets. Beximco Pharma’s intravenous (IV) fluid manufacturing plant may be regarded as one of the most technologically advanced plants in the world. The plant was designed and installed in collaboration with Pharmaplan of Germany, a sister concern of Fresenius AG of Germany. In designing the whole process, special care has been taken by providing absolute sterile manufacturing conditions. The prime feature of the process is that there is no human physical contact with the product at any given time. This has been ensured by way of a series of fully automated manufacturing procedures including robotics. The bottle pack aseptic system (Form-Fill-Seal or FFS) is a unique and innovative manufacturing technology. Plastic bottles are blow moulded, filled with the solution and sealed under sterile conditions, in a single working cycle where there is no environmental exposure or human contact during manufacturing. The IV fluids are presented in a scientifically designed bottle where there is an extra protective eurohead cap and a resealable rubber disk. The whole process is performed in a class 100 clean room. The air inside this room is cleaned upto 100 particles per cubic feet passing it through HEPA (High Efficiency Particulate Air) filters. Thus, an advanced sterile environment is maintained in manufacturing the IV fluids in order to avoid the entry of bacteria, pyrogen and inert particles into products. This ensures the highest standards of quality and purity in order to ensure the highest level of safety. The plant is ISO 9001: 2000 certified.